Exercise in assessing when to estimate or give exact answers to division problems. N1/E3.6 Divide two-digit whole numbers by single-digit whole numbers and interpret remainders. N1/E3.9 Solve problems with and without a calculator and interpret +, ─, x, ÷ and = in practical situations. 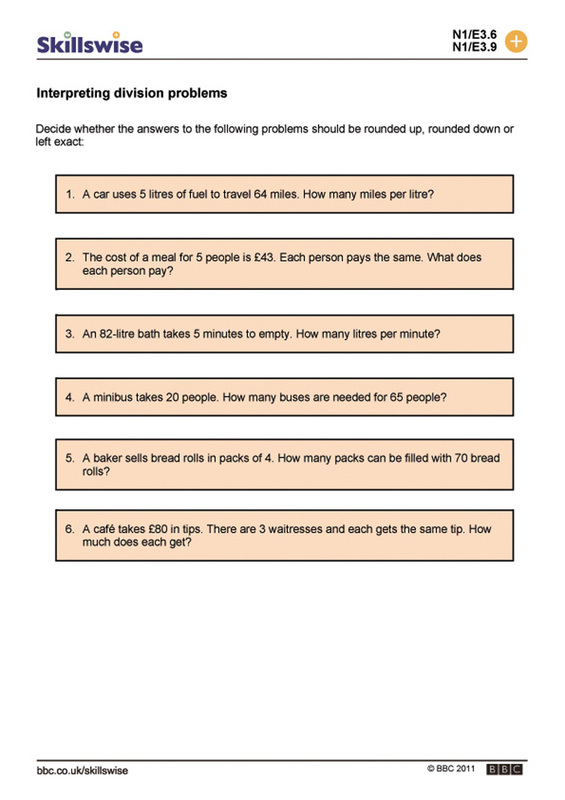 Activity to develop the skill of selecting the most appropriate interpretation of division results depending on context - rounding up or down, or exact.